Washtenaw County Parks & Recreation Commission meeting (Nov. 13, 2012): At their November meeting, county parks & recreation commissioners approved moving forward with a major project that could result in a new state recreation area in the southwest corner of Washtenaw County. The proposal is to partner with the Michigan Dept. of Natural Resources to acquire a total of 2,160 acres straddling the border of Jackson and Washtenaw counties – the Trolz property. The area includes an abandoned rail right-of-way that could become a multipurpose trail. The county parks system would purchase about 461 acres of that total area – a parcel located in Manchester Township and appraised at $1.37 million. The commission authorized staff to conduct additional work on the potential deal, with a final proposal and request for approval in the coming months. The commission also received an update on the proposed East County Recreation Center from Craig Borum, professor at the University of Michigan’s Taubman College of Architecture and Urban Planning. Borum presented two options for laying out the entire 38-acre Water Street redevelopment area in Ypsilanti, where the rec center would be located. 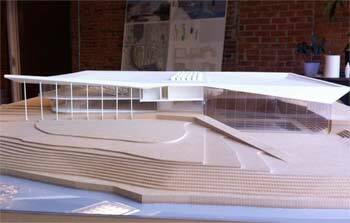 He also reviewed two possible draft designs for the recreation building on a portion of the site. The commission kept up its pace of land preservation efforts, often in partnership with other organizations. It gave final approval to acquire conservation easements on the 124-acre Drake property in Lodi Township, in partnership with the Ann Arbor greenbelt program. Final approvals were also given for easements on the 73-acre Hornback property in Salem Township, partnering with the greenbelt and Salem Township; and for the 213-acre Bailo property in Superior Township. In addition, the commission authorized preparation of a purchase offer for 65 acres in Superior Township – the Ford Road property – at a price of $500,000, contingent on completion of all due diligence and the commission’s final approval. When completed, WCPARC’s contribution to all these deals would total $900,224 to preserve 475 acres. The nine-member commission will face some turnover in 2013. At the end of the meeting, commissioner Jimmie Maggard announced his intent to resign after 24 years of serving on WCPARC. Barbara Bergman, who serves on WCPARC because of her position as a county commissioner, did not seek re-election and will be leaving the county board at the end of 2012. The same is true for Janis Bobrin, who did not seek re-election as the county’s water resources commissioner. She’ll be replaced by Evan Pratt, who won the seat in the Nov. 6 election. Bergman expressed the hope that Bobrin would be appointed to a vacancy on WCPARC – those appointments are made by the county board. Bob Marans, the commission’s president, introduced a proposal to acquire about 461 acres in Manchester Township, an opportunity for partnership with the Michigan Dept. of Natural Resources to create a much larger new state recreation area at the headwaters of the Raisin River. He said the state’s new emphasis on place-making means the DNR is not just looking at areas “way out in nowhere,” but rather is looking for land with possibilities for recreation and wildlife preservation closer to populated areas. The concept is, Marans said, that WCPARC and DNR would purchase all of the 2,160 acres remaining in what was originally the 3,500-acre Trolz estate. Tom Freeman, retired deputy director of WCPARC who now serves as a consultant, made a presentation to supplement a written recommendation by director Bob Tetens. Freeman explained that the proposal was for WCPARC to buy the 461 acres in Washtenaw County, using primarily funds from the county’s natural areas preservation program. The county would purchase the bulk of those acres with NAPP money, then use recreation funds to buy an abandoned rail track that runs through the entire property, which could become a multi-use trail to serve pedestrian, cyclists, and the equestrian community. 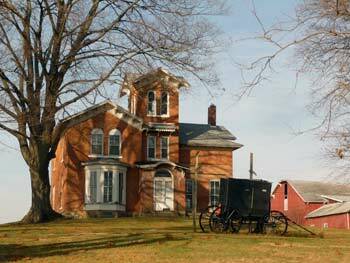 Freeman noted that the property in Jackson County includes historic structures, such as the Watkins home, which was part of the Underground Railroad – a recent article in Michigan History magazine featured this property, he said. There were exclamations over a slide of a brick Italianate house. “Don’t get too excited,” Tetens joked, reminding the group “we’re not taking any action tonight” on the actual purchase. Freeman also pointed out that the property is very close to the Leonard Preserve, the largest NAPP area, just northwest of the village of Manchester. About a year ago, the county parks & recreation commission announced plans to explore a possible new recreation center for the eastern side of Washtenaw County. The 12-acre site is located within Ypsilanti’s Water Street area, on the south side of Michigan Avenue just east of downtown and next to the Huron River. Borum’s presentation focused on the main qualities of the proposal: that it aimed to provided sustainable urban design; that the rec center would become a catalyst for other development; and that the project would “promote environmental consciousness even after the [rec] building is finished.” The project also is intended to highlight the significance of both the Huron River, which runs along the west side of the site, and of Michigan Avenue, on the north side of the site. Borum pointed out that the Water Street site was the same size – 38 acres – as all the rest of downtown Ypsilanti, to underline the importance of continuing the sense that you are still in the city when you are on the east side of the Michigan Avenue bridge over the Huron River. Borum presented two possible ways to organize the whole Water Street site: (1) Jeffersonian squares creating a grid, similar to the existing grid in downtown Ypsilanti, of about 12 blocks; or (2) long narrow “French” lots – or ribbons – that would run between the Huron River and Michigan Avenue. The grid scheme would have commercial uses along Michigan Avenue, transitioning to residential uses on the south side, where the Huron River bends to create the southern border of the site. The ribbon scheme creates an extension of River Street as a boulevard connecting Michigan Avenue to the Huron River. Both approaches are urban and emphasize both the river and the canopy of trees that will eventually develop on the site. 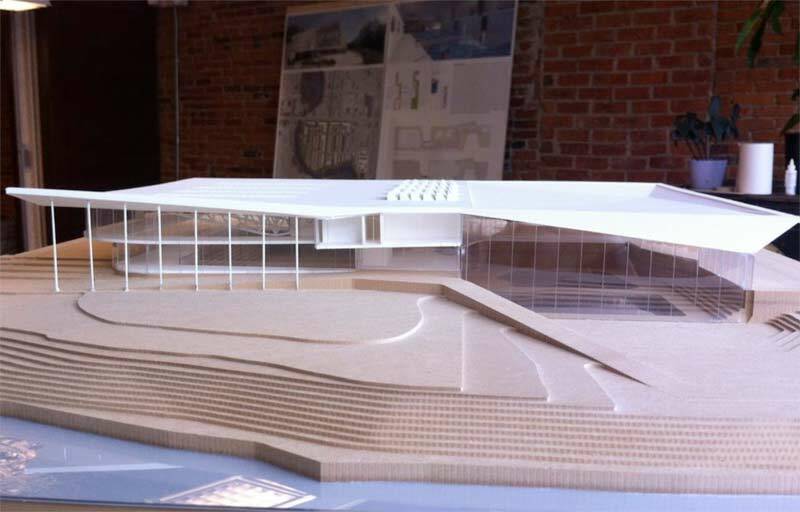 Model of a conceptual “canopy” design for a proposed new recreation center near downtown Ypsilanti. It was one of two models displayed at a Sept. 27 open house to get feedback on the proposed project. Borum tagged the two possible designs for the recreation building itself as the “storefront” and the “canopy.” The “storefront” would be narrow and long, presenting its face on Michigan Avenue almost like the downtown buildings west of the river and running along the river. The exterior of the building would be “frit glass,” which Borum explained was glass embedded with ceramic bits that could create whatever image the owner desired. His slides showed the glass “fritted” to resemble the façades of a few typical downtown Ypsilanti buildings. The “canopy” building design had a completely clear glass exterior, so that “you would feel you were under the canopy in a park,” Borum said. Both designs had similar amounts of space devoted to the several activities in the rec building: a reception desk, running track, exercise and meeting rooms, a two-part indoor pool with cool-water lanes for lap-swimmers, and a warm-water pool with a graded entry area suitable for children and those who need assistance such as a walker or chair. Commission member Jan Anschuetz commented that the use of glass for natural interior illumination was similar to the architectural style of early Ypsilanti buildings. She specifically cited the Woodruff School, which was built before there was electricity. Borum replied that the interior sketches in his presentation showed the spaces as they would be when lit by natural light. WCPARC commission chair Bob Marans responded by saying that the UM team led by Borum is not designing the building – these are conceptual ideas. “Once we get the funding, we will hire someone to design it,” he said. Anschuetz repeated her objections to the “canopy” design, concluding, “The strength of our community is in restoration.” Borum noted that feedback from the public presentation in September showed that the canopy design was ahead with perhaps 80% of the votes that were submitted by the public. WCPARC planner Meghan Bonfiglio spoke in agreement. Anschuetz asked Tetens why the project contemplated having the Ann Arbor YMCA operate the facility. Tetens answered that WCPARC can’t afford to both build and operate it, because at the start there will not be a lot of members. He added that the Y has decades of experience running an urban rec center. Commissioner Barbara Bergman asked for confirmation that the Y was “willing to take the financial risk.” Yes, Tetens replied. Bergman than inquired, “How is the [Ypsilanti] city government responding to this?” Tetens said there is some concern, but the Water Street property – which is owned by the city – hasn’t been on the tax rolls for years. The site also is in the floodplain, and “the valuable property is at the corner of Michigan and River Street” – not where the rec center would be located. Discussion closed with Anschuetz’ comment that the September rec center presentation was “wonderful.” There had been standing room only, she said. Borum promised to provide booklets on the presentation to commission members, and Tetens said the Ypsilanti city council would get briefed in November or December. “We have until July 2013 to come to agreement,” he said, based on terms outlined in the letter of intent with the city of Ypsilanti. Outcome: This was an item for discussion only, with no vote required. During their Nov. 13 meeting, commissioners approved several new conservation easements that will protect land through the county’s natural areas preservation program (NAPP). A conservation easement is a legally enforceable agreement – between a landowner and a government agency or a land trust – for the purpose of conservation. The purchase of development rights (PDR) is a common mechanism for protecting undeveloped land by letting owners keep their property for farming or other specified uses but preventing its development. Development is prevented through a conservation easement. WCPARC contracts with the nonprofit Legacy Land Conservancy (LLC) for work on conservation easements like the ones discussed during the November meeting. Susan Lackey, the conservancy’s executive director, and Robin Burke, the LLC land protection coordinator, were on hand to brief commissioners about these deals. Commissioners also were provided written reports prepared by WCPARC director Bob Tetens. The seven parcels in this deal – owned by the Bailo family – are located in Salem Township, covering 213 acres on the north and south sides of Six Mile Road between Dixboro Road and Pontiac Trail. [.pdf map of Bailo property] According to Tetens’ written report, the acquisition of development rights by WCPARC “would compensate the landowner for the cost of development rights, would establish an agricultural conservation agreement between the landowner and WCPARC to keep the land in agriculture in perpetuity, and would maintain the private ownership of the land.” An appraisal by Bosserd Appraisal Services identified a value of development rights of approximately $430,000. To facilitate this purchase of development rights, the report continued, WCPARC had received a grant of $203,840 from the federal Farm and Ranch Lands Protection Program (FRPP). Commissioner Jimmie Maggard asked whether WCPARC would own this land. Lackey explained that the county would hold a conservation easement, so that the land is protected and can’t be built on. 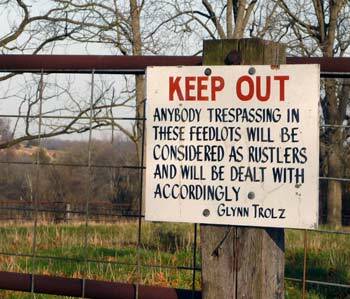 However, the property would be owned by the private landowner, who will continue to pay taxes. She noted that it’s part of a farmland protection program adopted by the county board of commissioners in May 2010. Outcome: The motion to accept the recommendation to authorize final approval to purchase the development rights on the Bailo property at a price of $430,000, with $203,840 to be reimbursed by the FRPP, passed with dissent by Jimmie Maggard. This item had received preliminary approval at the September 2012 WCPARC meeting. The Drake property is 124 acres in Lodi Township on the south side of Waters Road. [.pdf map of Drake property] Preservation of the property is “a high priority for both the Ann Arbor Greenbelt and Lodi Township. A collaborative or partnership approach is proposed,” according to Tetens’ written report. The Ann Arbor greenbelt program would contribute 80% of the price of the conservation easement, or $439,456. WCPARC’s natural areas preservation program would contribute 20%, or $109,864. Lodi Township is contributing $1,000. The Ann Arbor city council had approved the greenbelt contribution at the council’s Oct. 15, 2012 meeting. Tom Freeman, former deputy director of WCPARC now serving as a consultant, highlighted that the Drake property is one of the few remaining dairy farms in the county. Of the acres under consideration for the conservation easement, about half are farmed and half are natural. The property contains a high quality woodlot and wetland, and has been “well-managed from a forestry standpoint,” Freeman said. There is a “diversity of trees in age, with a clean understory,” he said. There was no discussion among commissioners. Outcome: On a roll call vote, the Drake conservation easement was unanimously approved at $109,864. This conservation easement would be for 73 acres in Salem Township at the northeast corner of Ann Arbor’s greenbelt, on the east side of Pontiac Trail extending due east and widening to the south to meet Brookville Road, according to Tetens’ written report. The property contains a mature woodlots and wetland areas, with about 30% of the property used for farming. The owners want to retain five acres for a future home site. [.pdf map of Hornback property] WCPARC gave initial approval to this deal at their September 2012 meeting. Consultant Tom Freeman noted that like the Drake property, the Hornback land was nominated by the Ann Arbor greenbelt for a conservation easement. He was impressed with both the quality of the property and with the partnership being offered: 20% of the cost would come from Salem Township ($64,200), 20% from the county’s NAPP program ($64,200), and 50% from the Ann Arbor greenbelt program ($160,500). The final 10% would come from the property owners, who offer a 10% reduction in the price of the conservation easement. An appraisal by Williams & Associates put the value of a conservation easement at $321,000, or $4,400 an acre. Mannik & Smith Group did a phase I environmental assessment, and there is a boundary survey including legal description and sealed survey drawing. Outcome: There was no discussion. A roll call vote was unanimously in support of the recommendation to commit $64,200 toward the purchase of a conservation easement on 73 acres of the Hornback property. The property lies north of Ford Road on the east side of Berry Road, just south of Superior Township’s Schroeter Park, which can provide both parking and a trail into the Ford Road land. 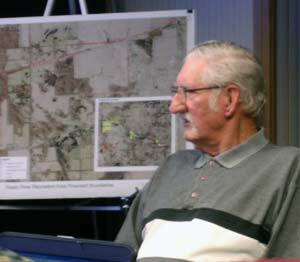 Tom Freeman presented information about the site, saying that Superior Township has wanted it for some time but is financially unable to acquire it. He pointed to a survey conducted in 1992 by Ellen Weatherbee, who had described the property in glowing terms, noting the high quality of its plant life and stating that it was one of the highest quality pieces of property in the township. Freeman described the “dramatic contour lines and heavy woods, comprised of red and white oaks, along with a small area of hardwood swamp filled with red maples. A perennial stream cuts through a steeply sloped topography,” part of the River Rouge headwaters. The county’s natural areas technical advisory committee (NATAC) identified this as a high priority property for acquisition. The relatively high price of $7,692 per acre is due to the property’s proximity to residential development and the Lucas nursery, Freeman explained. This price, he added, is consistent with what NAPP paid for other property in Superior Township: about $8,000 per acre for the J.A. Bloch property on Prospect Road [for the Meyer Preserve], and comparable to the Pellerito property on the southeast corner of Prospect and Cherry Hill Roads. There was no commission discussion on this item. Outcome: Unanimous approval to authorize preparation of a purchase offer for the northern portion, 65 acres, of the Ford Road Property LLC at a price of $500,000, contingent upon completion of all necessary due diligence examination of the property and the commission’s final approval. WCPARC deputy director Coy Vaughn reported on the Rolling Hills master plan, with the most recent work being on the ring road and trails. In addition to reporting on completion of phase I, Vaughn asked for approval of change orders to the contract with Dan’s Excavating – for an additional $328,123, or about 10.5% of the original contract for $3.121 million. With the change order, the total contract amount now comes to $3,449,373. Of the added expenses in the change orders, Vaughn said, 80% were “advancing the capital improvements program.” WCPARC director Bob Tetens added that the biggest changes were in the width of the road, and storm water management. This was, he said, the final change order. There was no substantive discussion among commissioners on this item. Outcome: The commission gave unanimous approval to a one-time change order of $328,123, based on the overall work performance of Dan’s Excavating Inc., and their ability to complete the project elements on schedule. The vote also established a final total contract value of $3,449,373 to complete the Rolling Hills Phase I master plan. The November meeting included written financial reports covering two months, since WCPARC’s October meeting had been cancelled. Outcome: The commission approved payment of claims in the amounts above, which for the two months totaled $2,542,279. WCPARC director Bob Tetens highlighted the increase in rounds at the Pierce Lake golf course, which as of the end of October 2012 were 19,246, up 31% from the previous year’s 14,677, in spite of the heat this year. [The number was up only 7% from 17,926 rounds in 2010]. Revenues for all operations at Pierce Lake were $613,449, up 21% from $508,437 in 2011; but an increase of 17% from $523,869 in 2010. Tetens also underlined the effect of the warmer-than-usual year on attendance at the Meri Lou Murray Rec Center. In the last three years, 2010 through 2012, attendance was 281,326; 282,669; and 268,978. Revenues for those three years were $977,986; $1,006,356; and $997,406. So even though attendance was 12,348 less in 2012 than in 2010, revenues increased $19,420 from 2010 to 2012. Independence Lake County Park gate attendance (and total revenue) through October was 17,743 ($211,458) in 2012; 16,968 ($209,427) in 2011; and 16,842 ($201,458) in 2010. Rolling Hills County Park’s numbers are more complex, because there are two different admission counts and charges: just to use the park; and to use the water park. Attendance at the park (and revenue) was 34,288 ($265,617) in 2012; 34,816 ($266,930) in 2011; and 33,583 ($258,910) in 2010. Attendance at the water park dwarfed that at the rest of the park: 114,522 ($780,122) in 2012; 115,012 ($780,995) in 2011; and 113,635 ($761,453) in 2010. Total revenue at Rolling Hills – which has rental facilities, food concessions, and winter operations exceeding those of the other parks – was $1,317,900 in 2012; $1,310,255 in 2011; and $1,247,549 in 2010. Tetens reported that the spray-and-play zone at Independence Lake is about 80% complete for the building, spray zone, landscaping, and electrical service. TriMedia was hired to update the sewage pump system serving the beach center. At Rolling Hills, the water park expansion is well underway, with the block structure for the bathhouse building nearly done and underground utility piping and storm water piping complete. The improvement in both parks will be done and ready for opening on Memorial Day 2013. Tetens predicted that 2013 “will be a remarkable year for us,” with these two huge improvements. At Sharon Mills Park, replacement of the pedestrian bridge adjacent to the millpond dam with a new, prefab steel truss bridge is in progress. The Border-to-Border (B2B) Trail continues to be built at Dexter’s River Terrace. The boardwalk sections are nearly finished and asphalt paving is underway. Staff also erected blazes on the B2B in Ann Arbor from Fuller Road to the Argo Cascades. In Ypsilanti, city staff revised the application to the state DNR to extend the B2B into the Water Street redevelopment area, with WCPARC financial support. That application is under review. Several updates were given in a written report presented to commissioners. Acquiring natural areas requires several steps, and after acquisition they must be maintained. To assist acquisition, a baseline environmental assessment was done for the Baker property purchased in Lima Township and sent to the state Dept. of Environmental Quality. WCPARC staff also made site visits to properties under consideration in Manchester, Freedom and Salem townships; and WCPARC forwarded the title search and a revised phase 1 environmental assessment for the Arbor Vistas project to the state DNR. Staff also received a schedule for constructing a boardwalk in the Draper-Houston preserve; engaged a contractor to build a parking lot and observation decks for the Trinkle Marsh at Easton Farm preserve and another to construct boardwalks and bridges through the wetlands of the Spike Preserve; continued to remove invasive species, especially invasive shrubs, from parks and preserves; and began to develop management plans for Scio Woods and West Lake preserves, as well as a low-impact wayfinding system for all NAPP preserves. As business drew to a close, commission member Jimmie Maggard announced, “As of today, this will be my last meeting.” He said he was resigning from the commission after 24 years, and has other projects in the works in Ypsilanti Township. Present: President Robert Marans, vice president Patricia Scribner, secretary/treasurer Nelson Meade, Jan Anschuetz, Barbara Bergman, Janis Bobrin, Jimmie Maggard, Dan Smith, and Fred Veigel. WCPARC staff: Director Robert Tetens, deputy director Coy Vaughn, planner Megan Bonfiglio, and consultant Tom Freeman. Legal Legacy Land Conservancy: Executive director Susan Lackey and land protection coordinator Robin Burke. Next regular WCPARC meeting: Tuesday, Dec. 11, 2012 at 7 p.m. at the parks and recreation commission administrative offices, 2230 Platt Road in Ann Arbor. The Legacy Land Conservancy is correctly identified earlier in the article, but their name needs to be corrected near the end. Thank you for your fulsome report on the meeting of the WCPC. Your article stated that I had been on the Parks Commission for 24 years. In fact, I have served on it only one year, but I enjoyed every minute of my affiliation with this wonderful endeavor. As I leave the Parks Commission, I wish it every success possible. Re. Legacy Land Conservancy reference: While they’re definitely legal, you’re right – that’s not in their name. It’s fixed. Re. 24 years of service: The article correctly states that Jimmie Maggard served for 24 years. It does not indicate a length of service for Barbara Bergman, but as she pointed out at the meeting, it was apparently not long enough for her to get a cake.